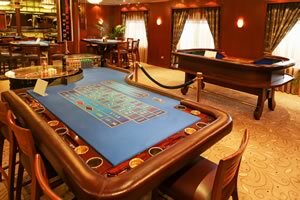 Have you tried playing casino table games in Nigeria? Have you tried your luck at our casino table games in Nigeria? If you haven’t… what are you waiting for? Nigeria’s casinos, which are located at buzzing hotspots including Sheraton Hotel, Concorde Hotel and Bougainvillea Hotel, welcome you to spend an afternoon or evening whiling away the hours, enjoying a variety of table games and machines, feasting on the nightly buffet and simply having a good time. At the best Nigerian casinos you can expect the croupiers and dealers welcome you with a smile and friendly service. What better way to win big than in a festive and exhilarating atmosphere that the casinos in Nigeria are sure to provide! Table games offered at the various casinos in Nigeria are designed for fun and fair gambling. 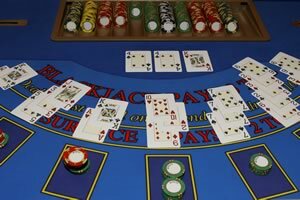 When trying your luck at any of these games you are sure to be excited by the hustling and bustling atmosphere of the casino. If you want to sip on beverage while gambling, the hotels that the casinos are located in have some of the trendiest bars in Nigeria to offer, not to mention a wealth of restaurants to choose from too. If you are visiting a casino while staying at the Concorde Hotel or Bougainvillea Hotel, you will also have the opportunity to dance the night away and meet new people at the hotel night clubs. Such convenient casino locations make a night out on the town not just fun, but absolutely convenient too. 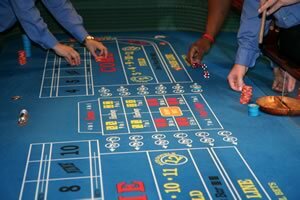 To get the best out of your gaming experience, you should try your hand at the table games as well as the slot machines. Progressive jackpots that guarantee regular payouts will keep you smiling. You never know when your luck might change – you could just win big!